Hellifax (MM3): Approx. 115,000 words, or about 350 pages. If you click on the cover for Hellifax, it’ll take you to Amazon. Do me a favour and please click the Amazon “Liked” button there. And if you’re feeling particularly clicky, go to my Amazon author page (on Amazon) and click the “Liked” button there as well. I’ve heard that the more “Likes” I get, Amazon gives a little push in the promotional department. I really enjoyed the series so far. Hellifax was great. I would still like at least one more, to find out what happened to Gus. I’ll put you down as one vote for MM4 :). Just finished HELLIFAX and the story line gets better everytime. You have completely immersed me in the zombie genre, I only wish there were more writers like you!!! I truly hope you are planning on at least one more book to this great series. But in the meantime enjoy your break and know that your work is greatly appreciated. I have blown through all of the MM books since dec 25th. Now I am working on your other books, excellent writer. Yes, please there must be a MM4, what happened to gus! Again, thanks for the excellent reads. Love the cover and really enjoying the book. You have mad skills my friend. Congrats on all your success! Well deserved. As for my vote, I’d say MM4 is a no-brainer. Take a break and get back to your fantasy books if you want, but I’m afraid I’ll need at least one more dose of MM love. 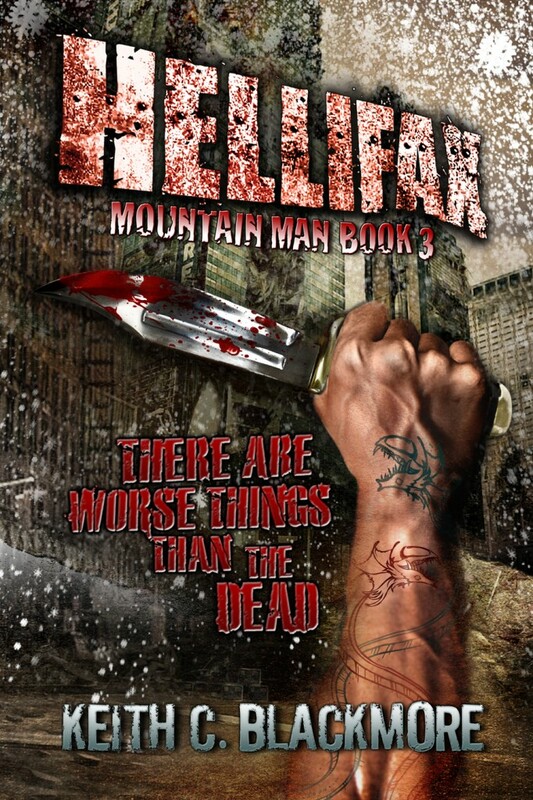 Just finished Hellifax, enjoyed it just as much as the first 2. Would love a 4th and some sort of resolution with Gus!